Glow light tetra is a Beautiful and wonderful schooling fish with iridescent white/orange to red stripes which add beauty along with other tetras in a planted aquarium. They should be kept in groups of more than 6 per group. They form a nice group when threatened. 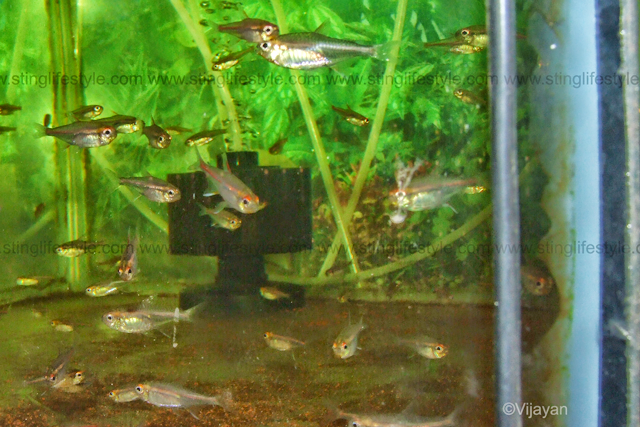 Glass neon tetra fish prefer slightly acidic water for optimum health conditions. If the water quality is maintained and treated with live food, they will spawn easily But raising the fry is little difficult and requires proper setup. 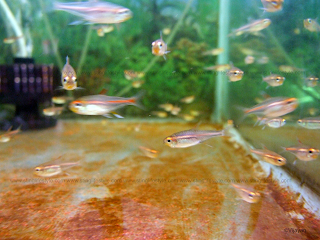 Schooling Fish should be kept in 6 – 10 in numbers. Easy, with school of fish with more males . They spawn on the substrate or on spawning mob . They scatter eggs in the bottom and if not separated they will eat their own eggs. Eggs will hatch within 24 – 30 hours.